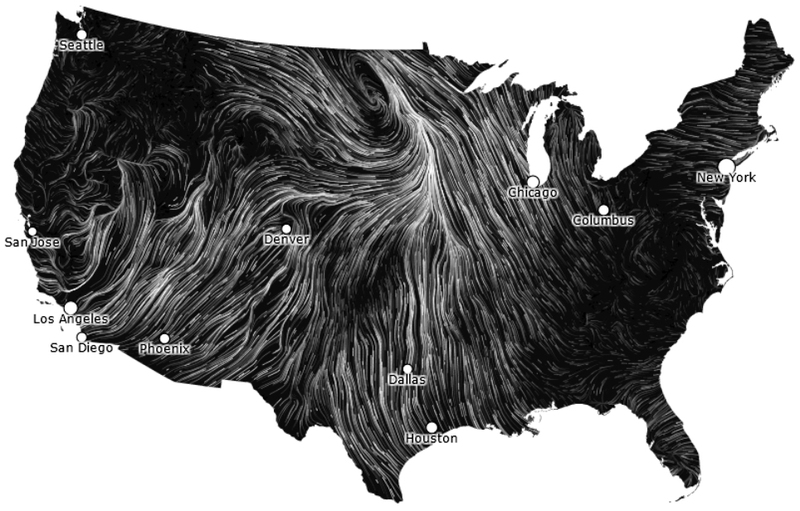 These maps, still screen saves from Fernanda Viégas and Martin Wattenberg’s animated windmap, show U.S. wind patterns and their velocity at approximately 2pm eastern standard time today. 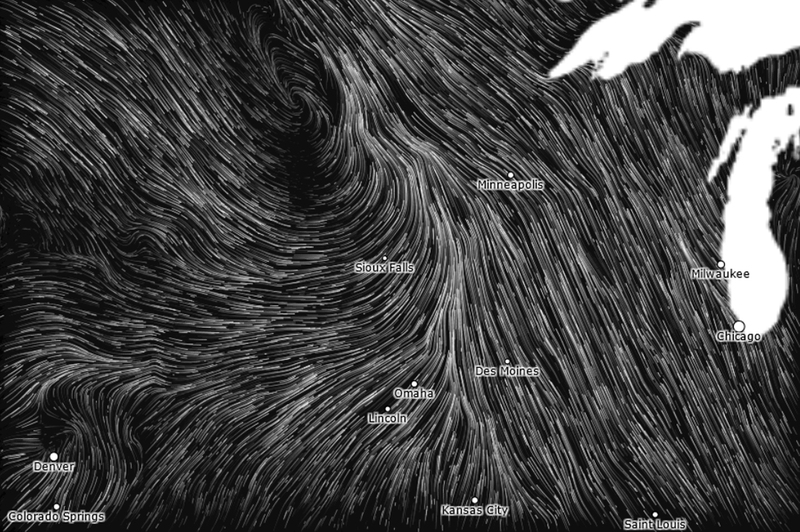 The stream of near real-time maps are constructed with data from NOAA’s National Digital Forecast Database. Similar to drawing water, agencies of algorithms have been deployed, collating and amplifying data from an extensive network of sensate and communicative stations distributed throughout U.S. national terrain.